A 13 day self-drive exploration of Namibia enjoying the highlights of the Sossusvlei Dunes, the coastal resort town of Swakopmund, unique geological formations & rock art in Damaraland and excellent wildlife experiences in Etosha National Park and the Okonjima Nature Reserve. 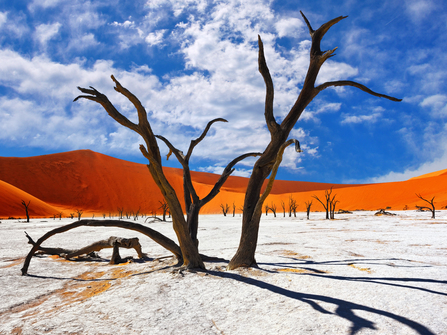 Your holiday begins in Windhoek, Nambibia's capital, where you will pick up your hire care and then drive yourself to the first stop on your itinerary; The Namib Desert, one of the oldest deserts in the world. 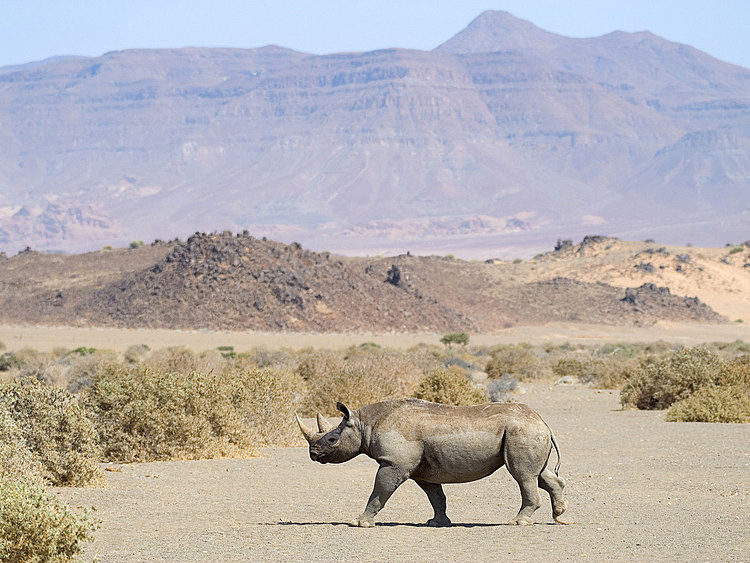 The Namib-Naukluft National Park is over 50 000 square kilometres, making this one of the largest conservation areas in Africa. This desert has four different types of environment from the famous towering sand dunes of Sossusvlei, river valleys & pans, gravel plains with isolated rocky hills, or inselbergs and mountain outcrops. From the desert and the mountains, you then travel to the coastal town of Swakopmund, one of the few places you will come across on this trip which has ‘tourist’ facilities and is considered by locals as a holiday resort. There is a good selection of restaurants offering all from Bavarian fare to excellent seafood, shops, museum, library and Living Desert Snake Park. The area is becoming increasingly known for more adventure style activities from sea kayaking which is a lovely gentle way to experience the marine life, sand-boarding, quad biking, sky diving, fishing, kitesurfing and windsurfing. 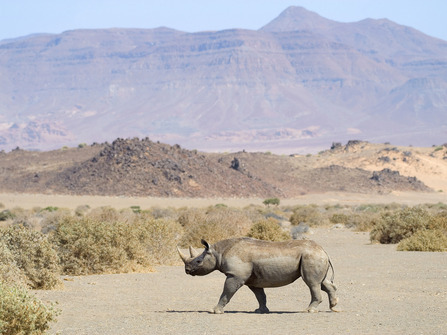 There are some passionate guides in the area willing to share the unique wildlife and geology, for example the Sandwich Harbour tour giving a marine and desert insight and the Welwitschia Plant Drive in the into the arid landscape. 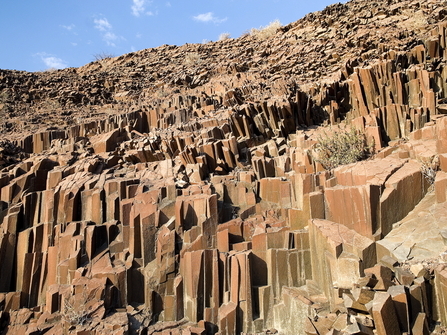 From the coast, you then head towards Damaraland, which has a variety of interesting geological formations and is famous for desert adapted elephant and rhino. 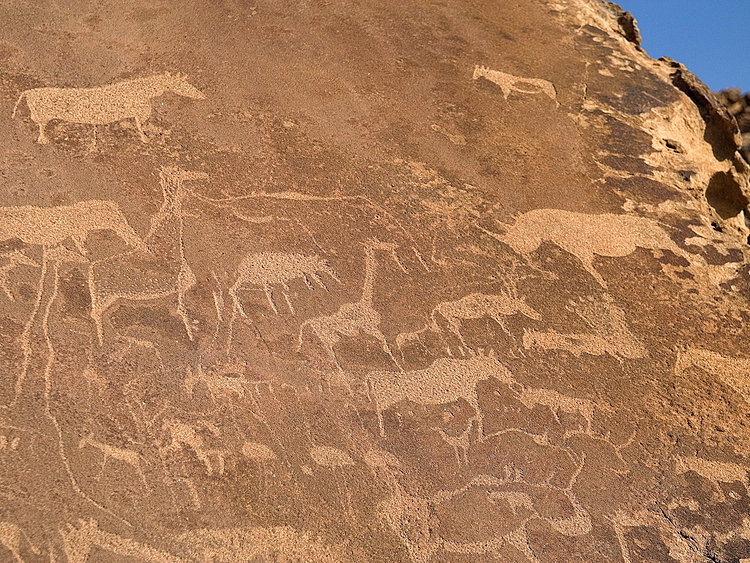 From the Spitzkoppe in the south, this is essentially a vast naturally forming rock art gallery. 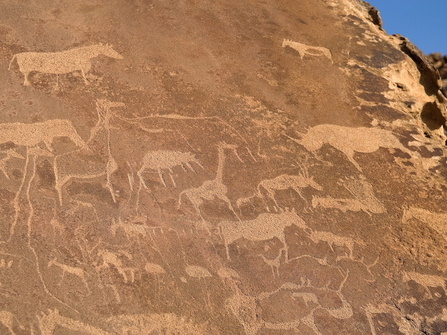 Here you can see the White Lady painting which is 40cm tall, volcanic remains of the Messum and Doros craters, the balancing Vingerklip pinnacle rock formation, the Twyfelfontein rock art which unusually has both painting and engraving examples, petrified forest on sandstone bed, Burnt Mountain and the unique angular dolerite columns of the Organ Pipes formations. 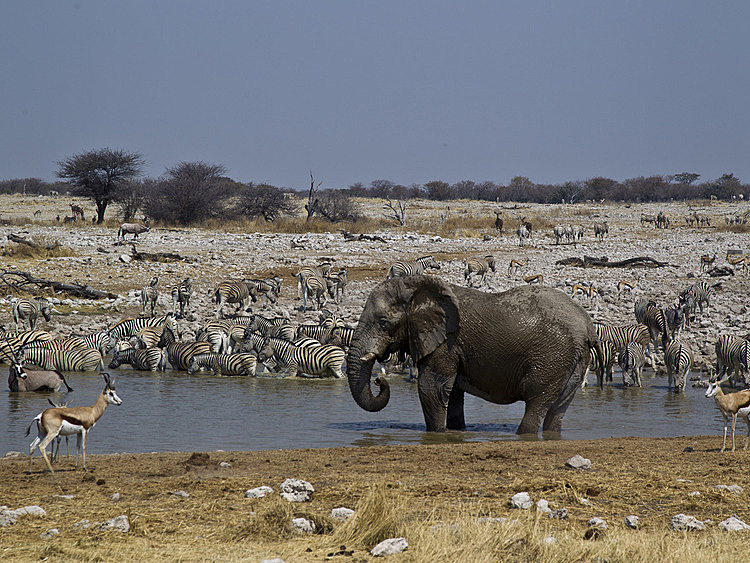 After the geological phenomena of Damaraland, you then drive to Etosha National Park. 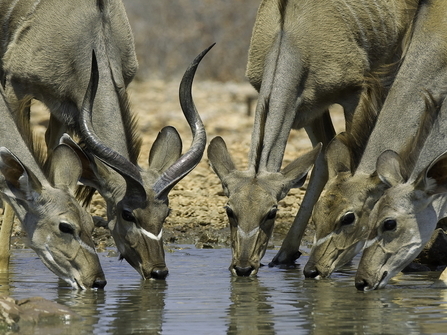 This is an excellent place to self-drive as the large number of waterholes attracts large numbers of animals which can easily be seen from your vehicle during the dry season. You will see a lovely range of plains animals from elephant, giraffe, eland, blue wildebeest, kudu, gemsbok, springbok, impala, steenbok and zebra. Great predators such as lion, leopard and cheetah. After viewing wildlife from your vehicle, you then have a chance to get more up close and personal with game when visiting the AfriCat Foundation. 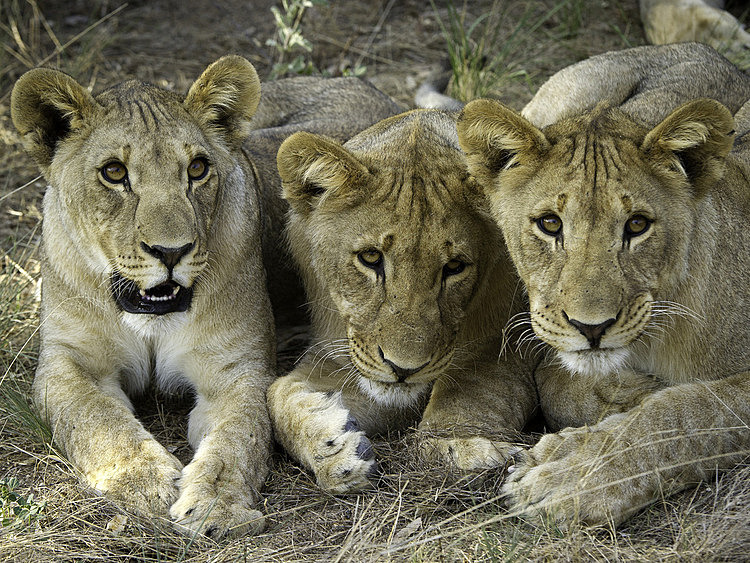 This charity was set up to preserve cheetah, leopard and other carnivore threatened by the farming communities. 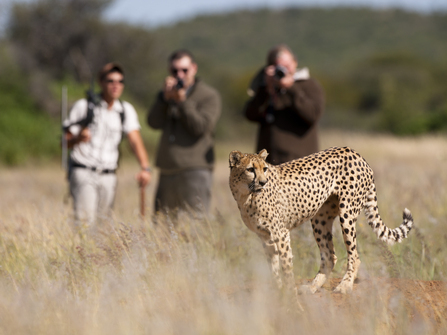 If you stay two nights, there is an opportunity to track cheetah on foot and excellent wild dog and hyena sightings from the game drive vehicle. 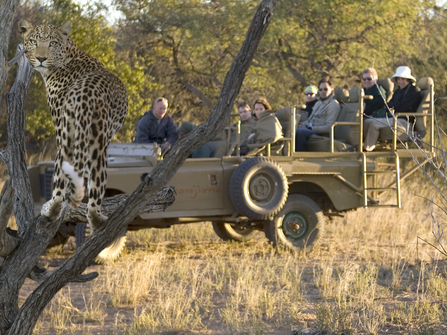 A 2x4 vehicle is included for your comfort in this itinerary, given the distance, it is best to pre book and plan. On arrival you will be given a full self-drive briefing with maps and instructions. Namibia road conditions are excellent with long straight, generally empty roads. 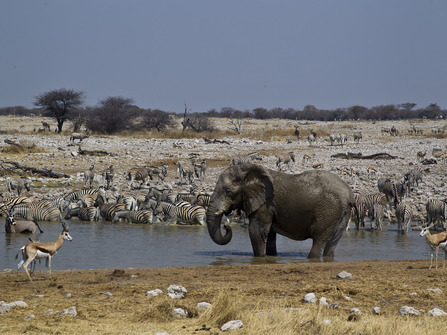 This is purely a sample itinerary and can be extending into the southern regions or even doing a full loop around to do parts of Botswana and take in the Victoria Falls. On arrival at Windhoek Airport, you will be met and assisted with your car rental and given a self-drive briefing. In the afternoon, there are some interesting things to see around the city which has a strong German influence or you might want to simply relax before the start of your journey. 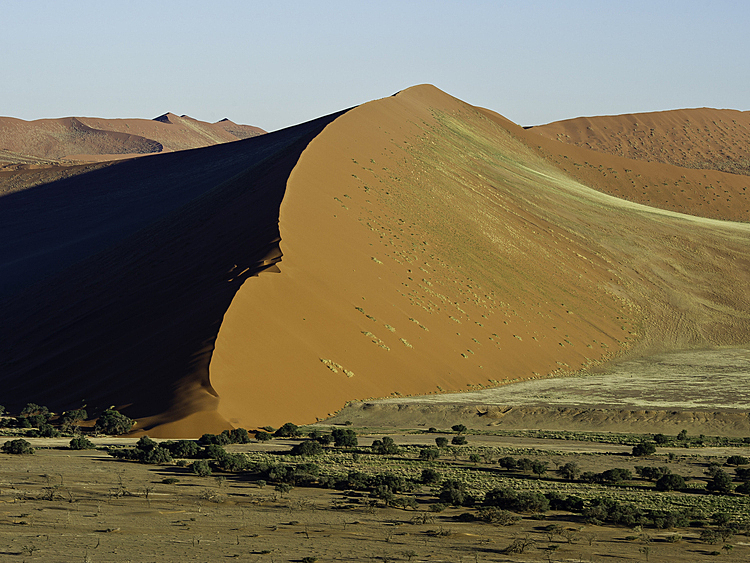 Depart after breakfast for the Namib Desert, this journey will take the best part of the day. You should arrive at your accommodation late afternoon. 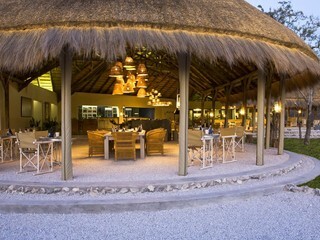 A guided nature drive would be a perfect way to end the day and enjoy the sunset. Early rise to be at the entrance to the national park for sunrise on the dunes and spend the day exploring the surrounding area. 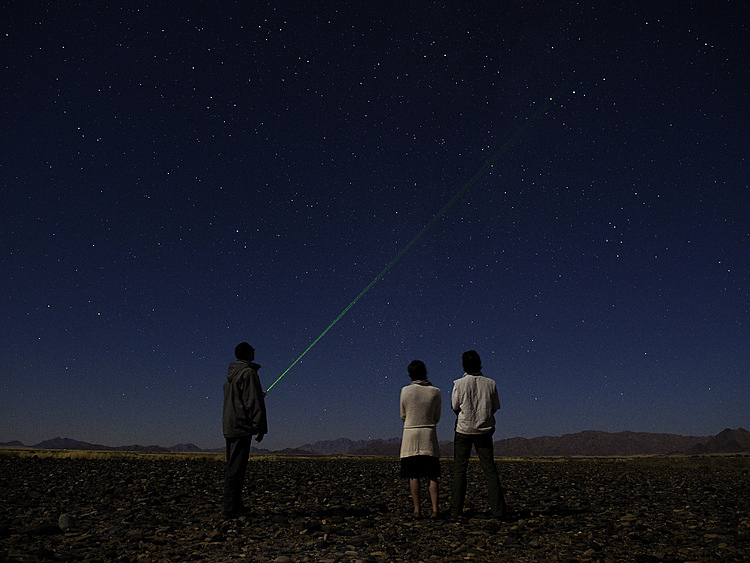 A guided walk or nature drive will be the best way to experience desert adapted wildlife. 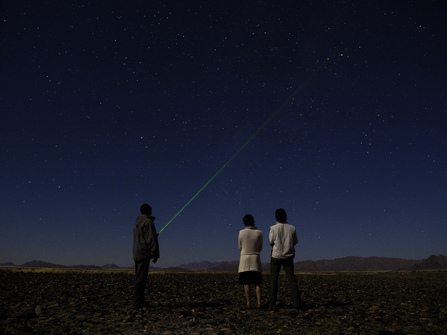 Depart north-west to the Atlantic seaside town of Swakopmund, cross the Tropic of Capricorn, the Gaud and Kuiseb pass and down the dry river bed over the canyon which opens into desert landscape. 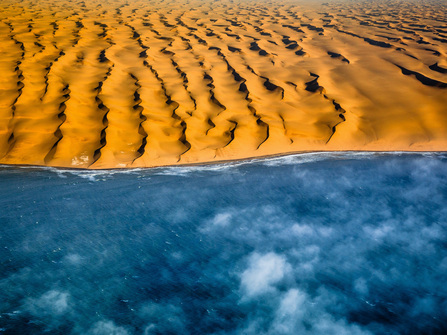 The desolated “Namib gravel plains” brings you to the coastal town of Swakopmund. Head north with a stop at Cape Cross to see the Cape Fur seal colony. 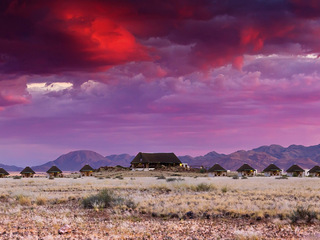 Then travel east, inland towards the desert, visiting the small town of Uis, an isolated mining town which is the best place to buy rough semi-precious stones which Namibia is known for, such as Amethyst and Tourmaline. 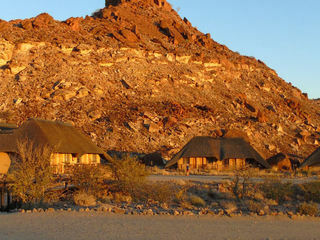 Pass the ancient Bushman spiritual site of Brandberg Mountains, Namibia’s highest peak at 2573 metres. 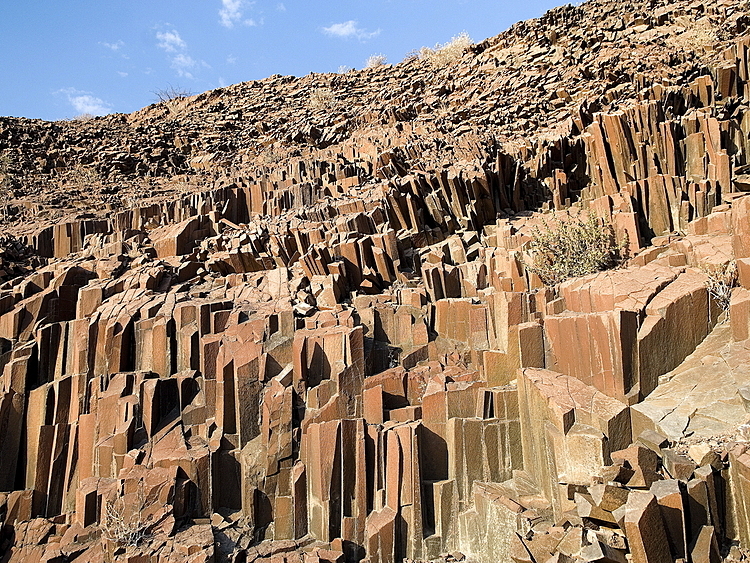 Stop and explore Burnt Mountain which is a hill at the foot of a twelve kilometre long volcanic ridge and the nearby gorge which houses the Organ Pipes which are five metre high tall, angular dolomite columns. Early start to the ancient Bushman rock engravings at Twyfelfontein with local guide. This afternoon the lodge offers an optional guided drive to track elusive desert adapted rhino and elephant. Travel north to the Etosha National Park, staying on the western side of the park. 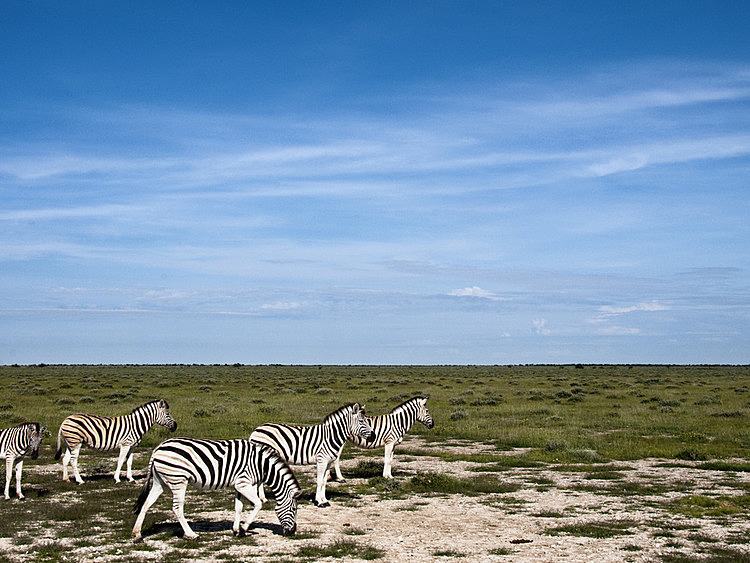 The Etosha National Park is over 110 kilometres wide and it is worth staying on both sides. Journey across the park to the eastern side, stopping at various waterholes en route and enjoying a leisurely lunch. Days ends before sunset at a lodge on the eastern side of the park. Final early morning drive in Etosha before travelling south to Okonjima. 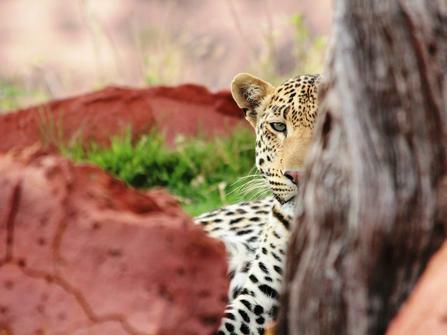 In the afternoon enjoy an informative guided trail at the AfriCat Carnivore Care Centre, a charity dedicated to the long term conservation of carnivores. 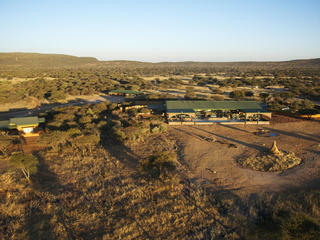 Morning and afternoon activities in the Okonjima reserve. 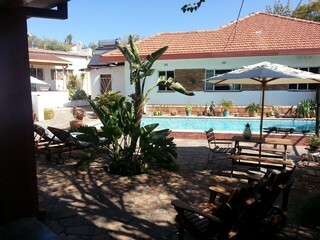 After breakfast take a leisurely drive to Windhoek, return hire car and check in for your onward journey. 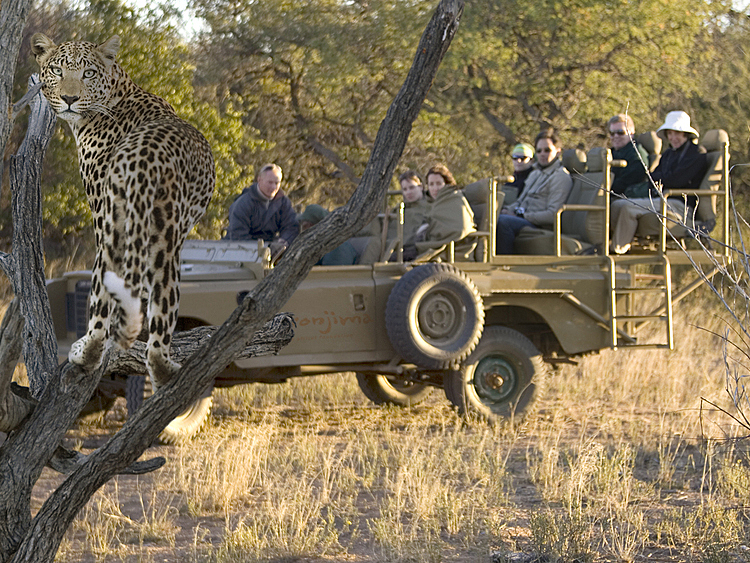 Guide price is based on peak travel (August) and inclusive of accommodation, mentioned activities and car hire. Suggested vehicle is a Ford Ranger Double Cab 4x4 or similar for the duration with unlimited mileage and comprehensive insurance. 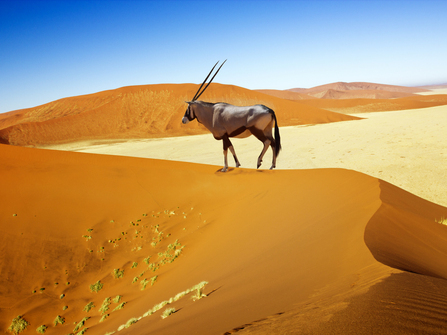 Namibia is a vast country with many fascinating and varied experience. It is a very arid environment for the most part. Journey times do tend to be longer but it is very rewarding and uncrowded. This makes for an excellent couple and family adventure. 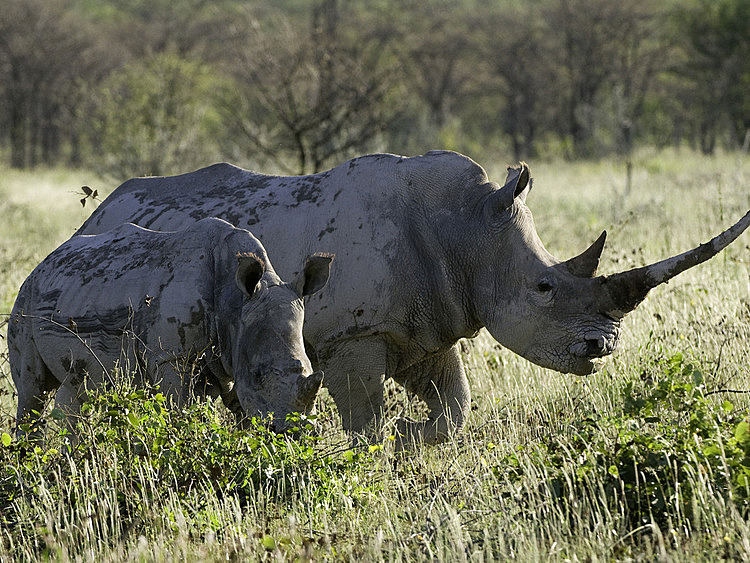 There will be some restriction on children under the age of 7 years for guided safari / nature activities.